MANILA, Philippines - YouTube FanFest is coming back to Manila after a sensational debut last year and at the end of the month, more than 13 YouTube stars from the Philippines and around the world will hit the stage to entertain Filipino fans. The second YouTube FanFest returns to the Philippines, bringing YouTube creators from the Philippines and abroad. YouTube FanFest Manila 2016 will be held on Friday, May 27 at the World Trade Center, Pasay City. Creator stars Alex Wassabi, Tiffany Alvord, Tyler Ward, AJ Rafael, Connor Franta, Wengie, Tanner Patrick, The Filharmonic, and Gab Valenciano, join local performers Lloyd Cafe Cadena, Abra, Mikey Bustos, and Bogart the Explorer to perform live for thousands of Pinoy fans. Upcoming YouTube stars will also be present for pop-up performances. In 2015, more than 3,000 fans turned up to meet international YouTube creators including Bethany Mota, Kurt Hugo Schneider, Thatcher Joe, AJ Rafael, as well as local sensations Lloyd Cafe Cadena, Donnalyn Bartolome, and Abra. The creators will take part in an exciting variety show to showcase the skills that have made them stars on the platform. Since YouTube’s inception in 2005, it has hosted talented performers from all over the world, allowing them to share their talents and connect with like-minded artists and fans. At the same time, Internet users were exposed to new ideas and perspectives that re-shaped pop culture. Tickets were all snapped up within minutes of their release. Additional tickets may be available from participating YouTube creators and sponsors via their social media channels. "The viewers and fans in the Philippines have always been supportive of me. I'm particularly excited to finally have the opportunity to meet them in person," Connor Franta said. "Finally getting a chance to go to the Philippines to meet all the viewers that got me to where I am today is a dream come true. I've always felt a strong connection to my Filipino fans. Now I have the opportunity to meet you all in person! Unbelievable! This will be the most epic trip ever! Can't wait to go on this adventure with all of you!, " Alex Wassabi said. 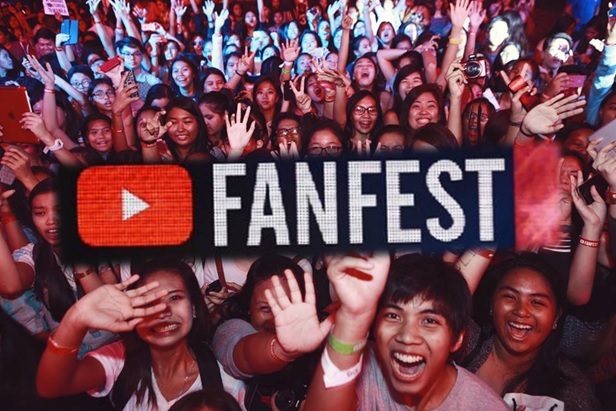 “I am honoured to be part of YouTube Fan Fest Manila! It's a great way for YouTubers and Filipino fans to come together and celebrate in a unique way, kinda like how green mango and bagoong come together to celebrate in the mouth!,” Mikey Bustos said. The second YouTube FanFest Philippines is in association with Globe, Nescafe, Philippine Airlines, City of Dreams and Mazda.